I had always wondered what all the fuss was about with Blackberry smartphones. Never in a million years would I have considered using it. Well, since everybody kept talking about it, I decided to give it a chance. I went ahead and bought my first Blackberry and now I am definitely hooked. My first Blackberry phone is the Torch 9800. I think I tested all the new Blackberry smartphones before I considered going with the 9800. Well, I can tell you that ever since I started using this phone, I have become and avid Blackberry user. If you are thinking of buying your own Blackberry Torch 9800, here are some few things you need to know before purchasing it. Out of the other phones I noticed one of the significant things which the BlackBerry Torch 9800 had over the other phones was that its touch screen device was much better than its predecessors. 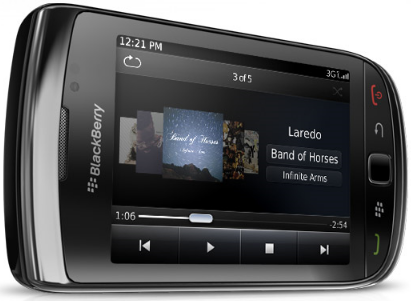 One of the main complaints by Blackberry users is that its touchscreen device was not that good. I guess the Blackberry manufacturer is actually listening to their smartphone users. The Torch 9800 is very sleek, neat, thin and very pocket-able. It is quite unbelievable to see such a phone so small and yet packed with so many functions. It comes with a 3.2 inch touchscreen and it has a nice Qwerty keyboard which smoothly slides from behind the display. The total weight of this phone is 161g which is really lightweight compared to its counterpart. Since I travel a lot, I like a phone that I can use wherever I am internationally instead of being confined to a certain frequency. This phone is a quad-band GSM/EDGE which basically means that you can literally use it wherever you are on the planet. As far as Internet is concerned, it has a 802.11 b/g/n wifi, tri-band UMTS/HSDPA 3G band coverage. If you like taking pictures, it comes with 5 mega pixels with auto focus and flash on the camera. It also comes with a 4 GB memory card, Geo-tagging, Blackberry map. With Geo-tagging, you are able to tag photos of areas that are close by. The Torch 9800 comes with BlackBerry 6 operation system. It has a very fast browser which I must say is really fast compared to other mobile browsers I've used. There are numerous things you can do with this Blackberry, so I won't bother listing them all here, but will highlight what I consider to be the best features of this phone in a separate post. This is definitely a smartphone worth considering.